Another sultry, high-humidity day today, while just last week it seemed like an early autumn was on the horizon with high winds, low temps and driving rain. If you think we are obsessing about the weather, let’s face it: we live in an extreme climate with huge variables. As a result, we need habitat solutions to meet those climate challenges that are both cost effective and durable. This is our passion at Meteek Supply. To provide leading-edge materials and products that stand up to the extreme northland weather. Towards that goal, we are pleased to offer ROCKWOOL and SIGA building fabrics for high-performance rainscreen applications. Cynthia applies SIGA waterproof breathable tape to SIGA Majvest buildling fabric before the windows are installed. ROCKWOOL is stone wool, or mineral wool. 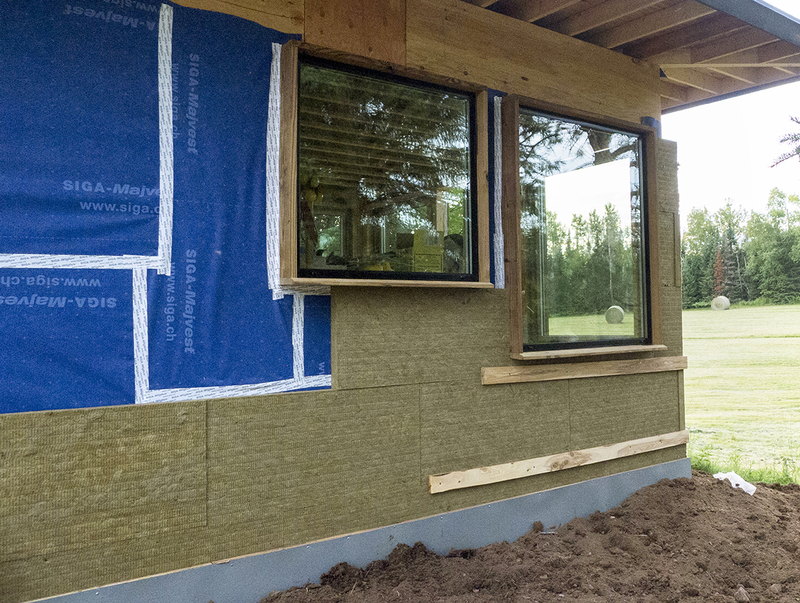 It is a fiber insulation comprised of basalt rock that is 100% recyclable. Its unique structure is both durable and tough, a great feature considering our extreme northland climate. ROCKWOOL’s unchangeable stability adds up to energy and maintenance savings over the lifetime of a building. We found ROCKWOOL a great choice for a frost-protected shallow foundation for our addition project in Gnesen Township. But we didn’t stop there! Breathablity and moisture resistance are key factors in our selection of ROCKWOOL for wall insulation for this project. 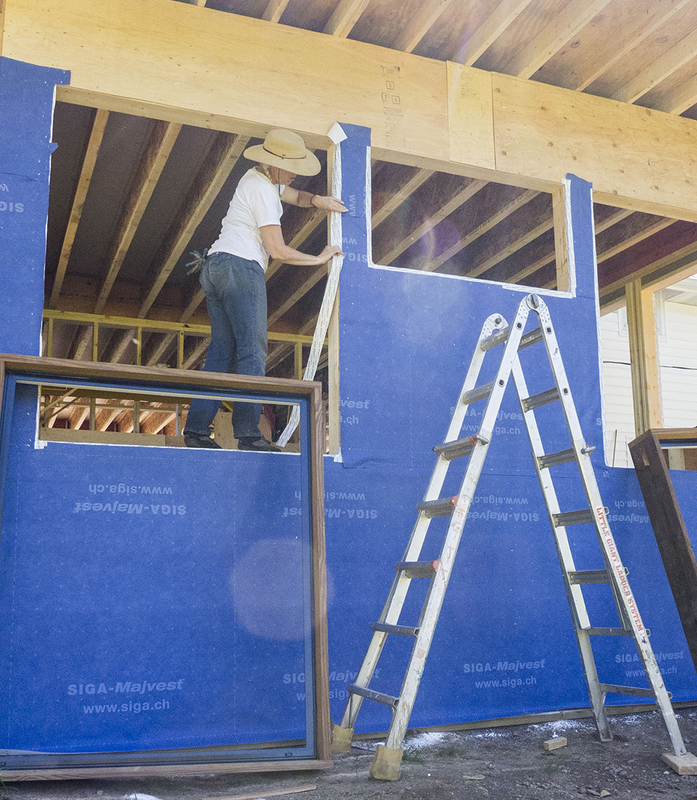 Coupled with SIGA building fabrics and tapes, we’ve constructed a building with a continuous weather-resistant layer and a vapor control layer. You can read more about SIGA and the science of building tight here. Here’s a peek at our Gnesen Township addition project in progress. 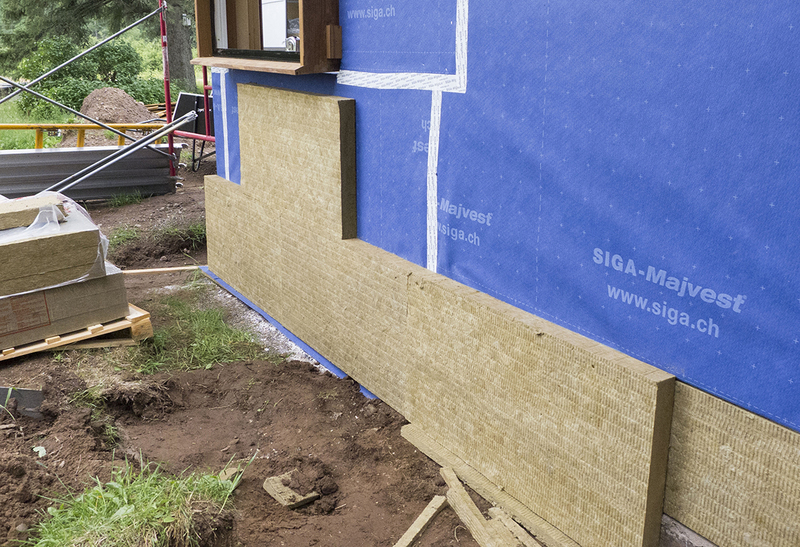 ROCKWOOL and SIGA Majvest—a dynamic duo for moisture resistance and vapor control. Yay! Windows! Lath goes on top of the ROCKWOOL. Rainscreen is a building technique where you leave space between the exterior façade or siding and the interior of a wall. This space provides a barrier against moisture transfer from capillary action. 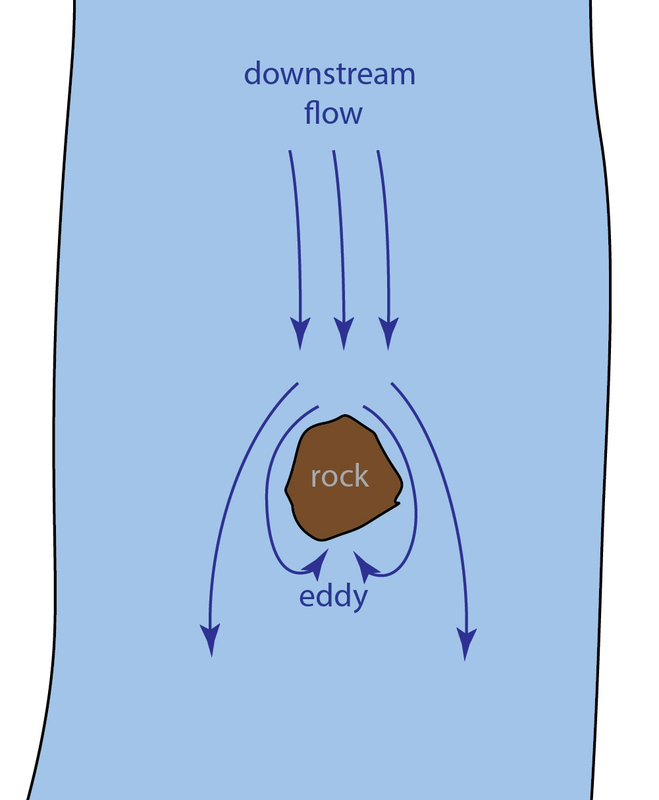 It also de-pressurizes the wall by creating an “eddy” space (think of a rock in a stream current that creates an eddy behind it) so that moisture is not as easily driven through the wall profile. Rainscreen also de-pressurizes the wall by creating an “eddy” space. 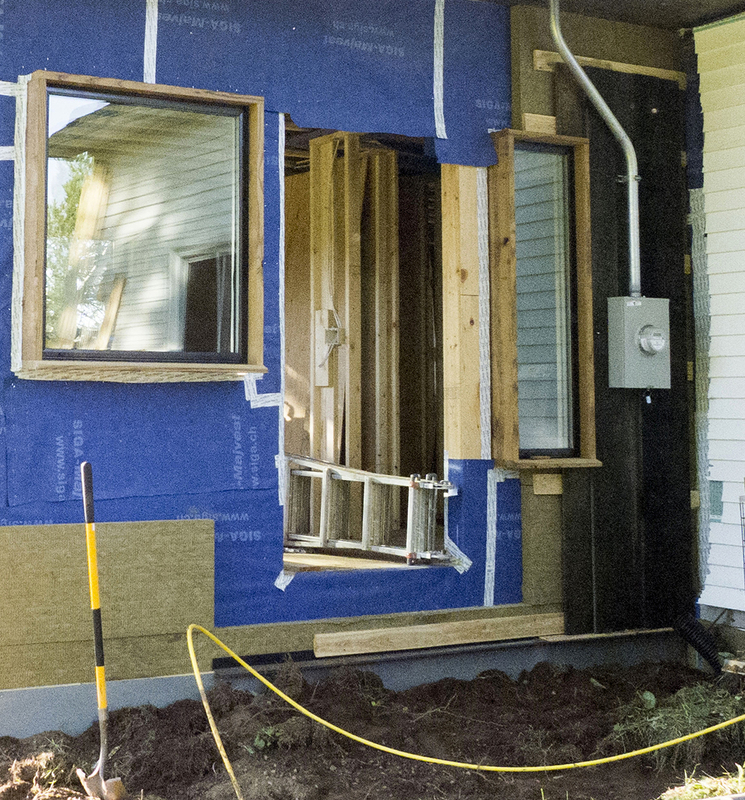 At the far right, siding is attached to the lath for a proper rainscreen. Rockwool, Siga and Rainscreen: the All-Weather Trio to stand up to the high-performance demands of the northland’s extreme climate. Stop in if you would like to take a look at some of our samples, or give is a call at 218.481.7440 to discuss your project ideas!